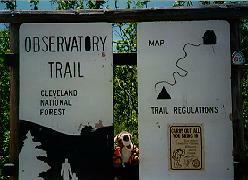 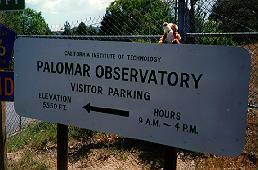 Tigger points the way towards the Palomar Observatory parking area. 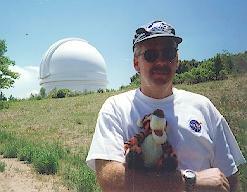 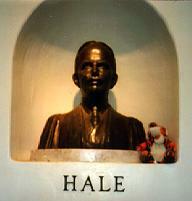 Tigger poses with George Hale, the man responsible for the development of the Palomar Observatory and the 200" telescope. 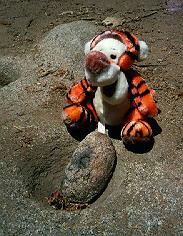 Tigger went on the Observatory Trail with us - happy to bounce along, and not caring that it didn't really go anywhere interesting...he still found lots of things to do! 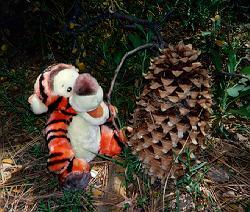 Gee, even the pine cones are big!